Looking for information on the fast paced Buckeye real estate market? Be sure to check out the Buckeye homes for sale stats and the local properties available below. The numbers shown include both condos and single family homes, so you'll get a better idea of what the market is doing. Located in West Phoenix area, Buckeye is a growing township that has one of the large land areas in Maricopa County. Thank you for visiting our website today on Buckeye homes for sale in 85396 and 85326. Right here you'll learn more about all currently listed houses for sale, along with home and community specifics, Google street views, and so much more. We truly make every effort to bring you everything you need to not only search for a property, but to make an intelligent decision on communities and neighborhoods based upon neighborhood advantages and schools. We know that you are not just purchasing a property, but a neighborhood and school system. If you have any concerns, be sure to let us know. To help with choosing a local Broker, we have supplied a link to a list of the real estate brokers on our staff. Making your house search a little simpler is our ultimate goal. To assist with this, we have separated all the MLS home listings into price points, so you'll be able to very quickly see the homes that meet your price criteria. Register for a FREE Buckeye AZ Home Listings Monitoring account. It is quick, simple, and gives you one-of-a-kind access to new MLS properties listed in Buckeye, AZ. You can save your favorite properties and customize your own real estate searches. You'll be in the know, just like an expert Realtor. Be sure to try our "Smart Search" technology today! What Is My House Actually Worth In Today's Buckeye Real Estate Market? In case you are looking at selling your home in Buckeye Arizona, or just want to discover what your property might be really worth, check out our "Selling Your Property" resource below. This solution will allow you to effortlessly see what properties are selling for in your neighborhood, but also let you see closed home prices as well. 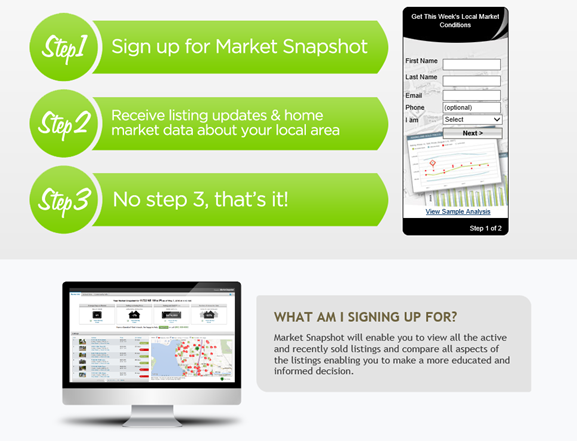 The easy to use system lets you see average selling price, days on market and much more. Give it a try now and let us know if you might like an expert market value evaluation on your home by one of our community real estate specialists. Do I Really Need A Local Buckeye Realtor To Help With My Home Search? Have you ever presumed maybe you don't need a Realtor? Many people are now relying on the internet to begin their home search and don't necessarily engage a local real estate professional until they are ready to draft a contract. Many home purchasers think that they can maybe save money by working with the listing agent and not involve a broker of their own. This is actually not a good way to approach buying one of the biggest and most pricy assets you'll own. First off, our Brokers are totally familiar with the areas in which they work and can be a great source when it comes to what the real estate marketplace is doing, as well as what is going on with the community and schools. Secondly, you need to have your own representation in a transaction. Writing the contract is the easy part. What happens if there are issues on the inspection that requires more fierce negotiations, or if they are issues with the mortgage requiring an extension of the closing date. There are many moving parts in a real estate deal, and having someone who represents only your concerns is a must. Our staff puts our customers needs and interests first, and can be that advocate you need in a difficult purchase. Be sure to call us today and get connected with one of our local Realtor team members. If you are looking for information on schools in Buckeye, click on the image below to see all schools in the Buckeye area. Be sure to click on the school name and use the drop down menu to see the school profile, student teacher ratios, test scores and more. In addition, click on the community tab to see valuable information about the Buckeye community. Let us know what type of home you are looking for in the area, and one of our local Buckeye Realtors will be glad to answer and questions, give you a comparative home value analysis and show you any MLS property listing of interest. Contact us today!